Wow! Am I really 24 weeks already? Time is flying by way too quickly this time around. Maybe it's because I have Sophia to look after and play with everyday so the days and weeks go by fast! I'm so thankful to have had such easy pregnancies. I love being pregnant. I've said this before and I'll say it 10 million times over again. Pregnancy has made me feel so beautiful on the inside and outside. 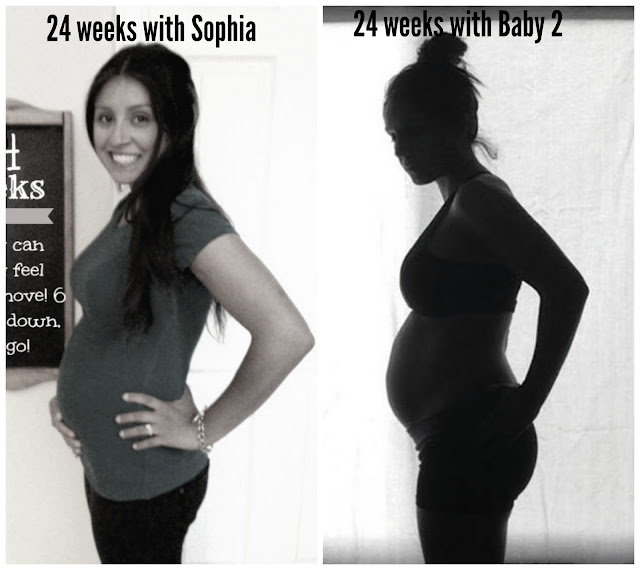 Here is a little update on my 24 weeks of carrying my baby germ number 2! 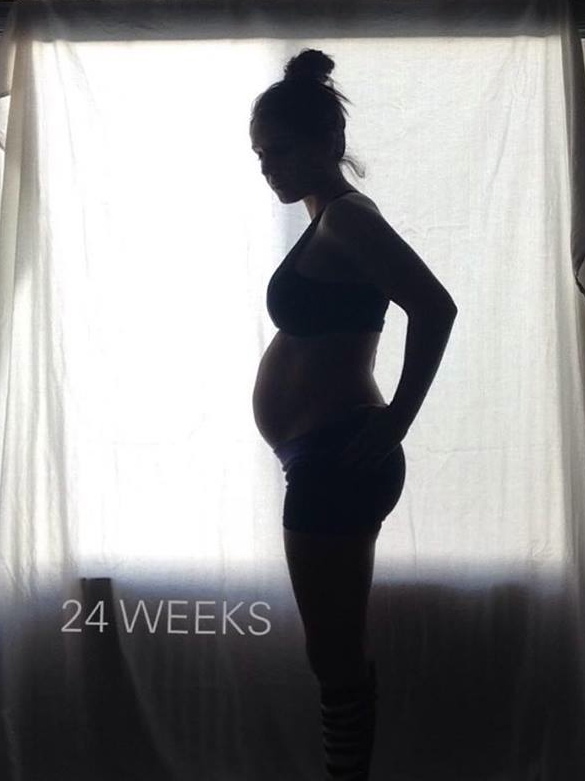 How far along: 24 weeks today! Maternity clothes: I have been officially living in my maternity jeans. They're so comfortable. All my shirts and dresses still fit like normal though. Stretch marks: None. I've been trying to stay extra hydrated and lathered up with tummy butter every day. Sleep: Sleep's been good surprisingly. I stop drinking water past 7pm so that I'm not up in the middle of the night. Best moment this month: We got to see out baby! And we even got to see her/him in 3D. It was so sweet seeing that little face! And another best moment was us going on our baby moon! We took Sophia with us, and headed up to a cabin in Big Bear (post coming soon) and was the best vacation ever with no internet service. Worst moment this month: I wouldn't call this the worst, but I started having braxton hicks. I had braxton hicks badly with Sophia. It was an everyday thing. Eventually I had to get admitted twice, once at 22 weeks and another time at 28 weeks for preterm labor. They stopped it and everything, but it worries me that I'm heading in that same direction. Wedding rings on/off: My wedding rings are on still which is nice. They stayed on the whole pregnancy with Sophia, so i'm hoping they stay on the whole time with this one too.